Jigglypuff’s character design is polarizing, and can be seen as an opposite to Little Mac. Its menacing aerial capabilities are nearly unparalleled: its air attacks have extended hitboxes and immense general utility, while its back aerial is among the strongest of its kind. Unfortunately, these traits are impractical in the amiibo metagame – which focuses on defense and grounded play – and this forces Jigglypuff to rely on its subpar ground game. However, a select few of its grounded moves are just barely useful enough to uphold some semblance of viability within the character. Its forward and down tilt attacks are its safest neutral options; both lack range, but inflict decent damage and can potentially link into a forward smash at low percentages. Jigglypuff’s side special, Pound, is one of its defining attributes: with enough Attack investment, the move can shatter a full shield. However, Jigglypuff is riddled with a slew of flaws. As the Balloon Pokémon, Jigglypuff was designed for aerial combat, which is where most of its strengths lie. The defensive nature of the amiibo metagame essentially invalidates these attributes, leaving it with an unreliable grounded moveset. Its strongest finishers – namely its forward and up smashes – suffer from high ending lag and short range, respectively. 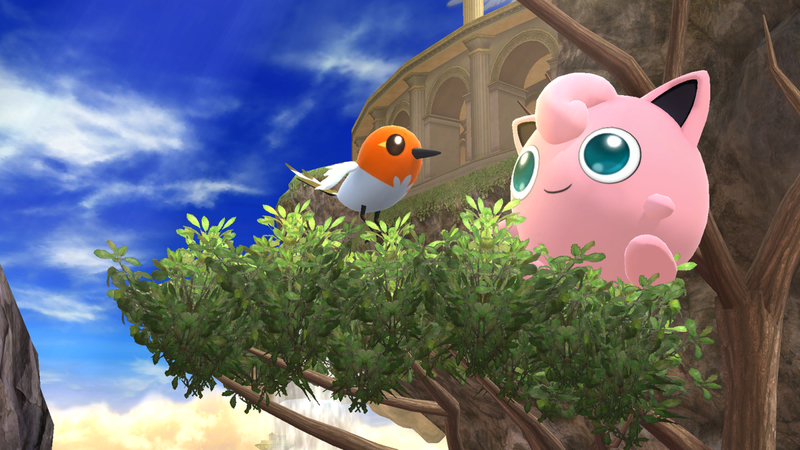 As a result, Jigglypuff often struggles to find an opportunity to KO its opponent. In theory, Rest is a decisive closer that could potentially correct this issue, but the AI never properly connects the attack. Jigglypuff is also lacking in defensive capabilities, as it possesses the weakest shield in the game; if its shield is broken, it is instantly KO’d, which worsens its matchups against powerful fighters such as Bowser and Ganondorf. Jigglypuff is rather difficult to properly train. Don’t let this fact turn you away from the character, as it has several redeeming qualities that give it a bit of a fighting chance. The road to training a champion Jigglypuff amiibo is both challenging and time-consuming, but with time, patience, and luck, the results may surprise you. Leaping Rest: This is a custom move version of Jigglypuff’s down special. Hence its name, the attack allows the Pokémon to leap upward before falling asleep. Its ending lag is also significantly reduced. Your amiibo shouldn’t be using Rest or any of its customs, but if for some reason it does, Leaping Rest will decrease the time it is left vulnerable. Neutral options: jab, forward tilt, down tilt, and side special. 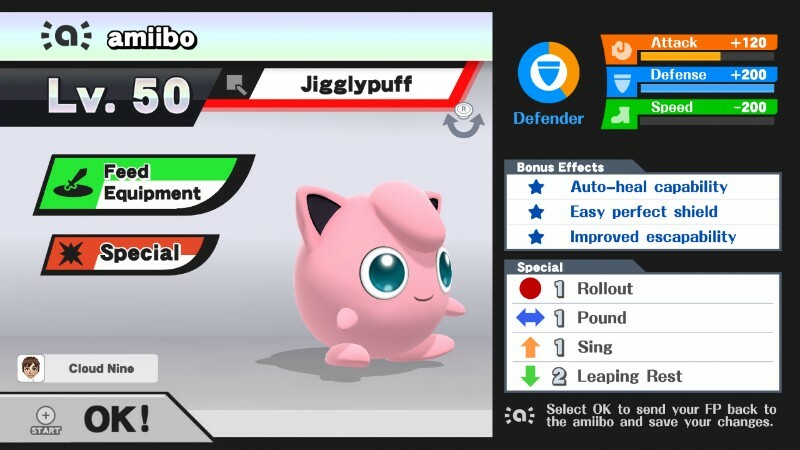 As mentioned before, Jigglypuff’s jab and tilts lack range, but they’re the among the only available options. Pound is rather slow, but can yield huge benefits if it comes into contact with an opponent’s shield. Main KO moves: forward smash and up smash. 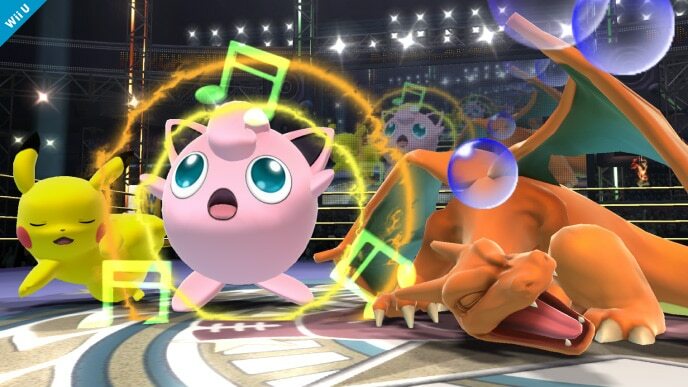 Jigglypuff’s smash attacks come out somewhat quickly, and are surprisingly powerful, but suffer from high ending lag. 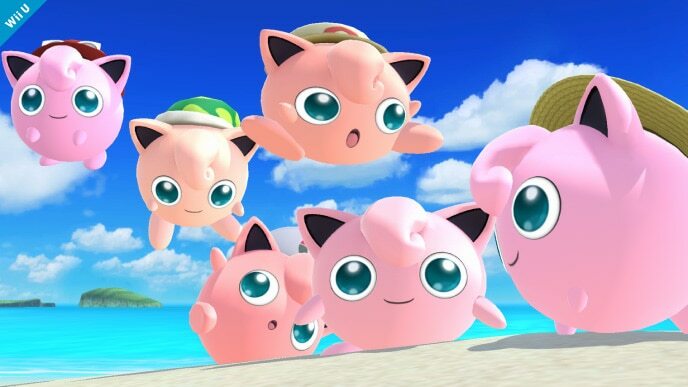 Up smash is most powerful if the back of Jigglypuff’s head connects. Moves to avoid: down smash, neutral special, up special, and down special. Down smash isn’t bad, per se, but its speed and damage output leave something to be desired. Your amiibo will be more successful if it focuses on its forward and up smashes instead. Rollout brings no notable benefits and leaves Jigglypuff vulnerable to attack; the same goes for both Sing and Rest. Thanks to ZachD08 and MegaVGmaster for compiling Jigglypuff’s information. Images are courtesy of SmashWiki and the official Super Smash Bros. website.